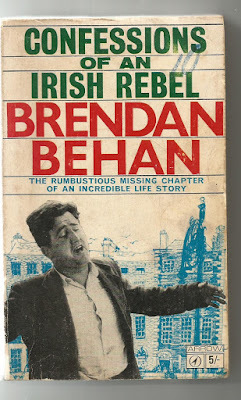 Confessions Of An Irish Rebel was recorded on tape by Brendan during his last visit to America, and then put to one side to enable Brendan Behan's New York to be published in the same year as the World Fair. As a result, at the time of his death the transcript of the tapes had not been edited in their entirety, and I have been left with the monumental task of finishing the manuscript without his help. This I have done to the best of my ability, with the aid of additional material which he wrote at different time and anecdotes which he told me and which I have reproduced as nearly as possible in his own words." The above adding of "additional material" and reproducing of "anecdotes" is the problem with this book. 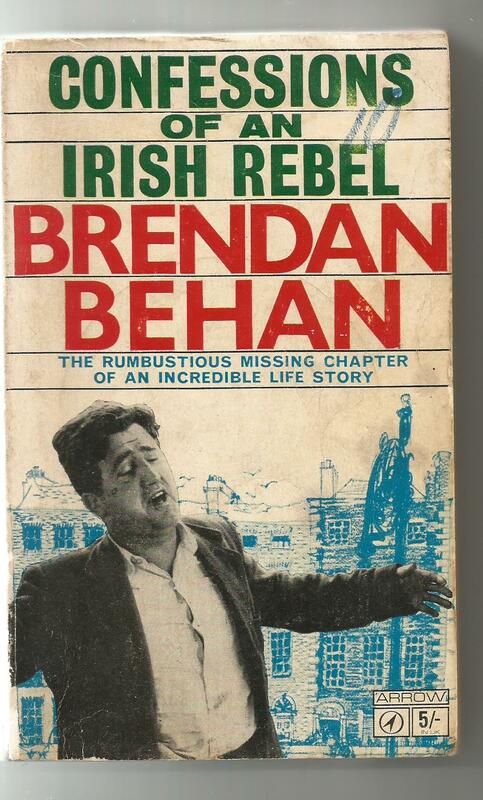 If you have read other Behan material you notice that this is full of repetition. Entire paragraphs from previous work are introduced here with no credit back to the original source. Reading Behan is entertainment, I wouldn't pass judgement on the truthfulness of much of what he writes but he writes it well and reading good writing is what I love. This book carries on from when he was released from Borstal and jailed several times for criminal offences he says he committed under the auspices of the IRA . Again the validity of claims may be questioned but as no one will ever know for sure how truthful he has been I just accepted the tales and read on. If you want to read Behan, I'd recommend "Borstal Boy" and just dip into this because this book is padded out entertaining for sure but the repetition from other works get annoying.